from her career beginnings at atlantic records in 1994 and leo burnett in chicago in 1995, olivia has cultivated a prestigious and well-rounded marketing and branding career working on the agency, brand and media sides of the table. she brings this unique blended perspective to all speaking engagements. after placing 3rd in the state of tennessee for broadcast journalism competition in 1991, olivia earned her bachelor’s of journalism from the nation’s most renowned & prestigious journalism school. after refining her professional writing skills in pr at leo burnett, olivia pursued a marketing career, yet still loves writing and does so about marketing topics on her medium platform. follow her on medium today. 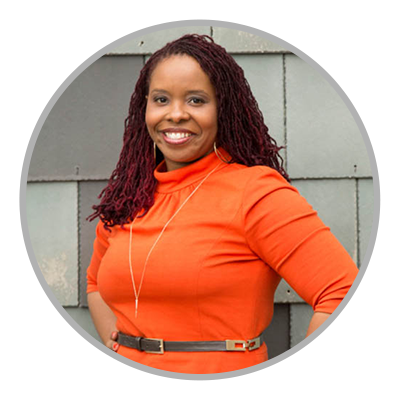 invite olivia now to share her multifaceted marketing and branding expertise in person at your next conference, sales retreat, marketing workshop, or one-on-one marketing coaching experience or via a marketing article contribution. since 2008, olivia has taught competitive strategy, media management, events marketing and partnership marketing courses at new york university and at institute of audio research. olivia’s experience includes being the chief marketing officer for carol’s daughter, marketing consultant for andre walker hair, creator of iman cosmetics’ first-ever film partnership with screen gems about last night with kevin hart. additionally, olivia served as associate publisher/head of marketing, vibe magazine; vice president, alliances at live nation; director of partnership marketing & promotions at in demand tv, plus other account management roles at ddb, leo burnett, ogilvy and frankel advertising agencies. since 2016, olivia has also led programming strategy and booking for beauty, wellness & entertainment experiences for essence festival. olivia earned a bachelor’s of journalism from university of missouri-columbia, and a master’s of arts in organizational leadership from gonzaga university. recreationally, olivia is a certified yoga teacher, and teaches classes through her freedom at the mat platform. she resides in harlem, in manhattan.